Glastonbury Burner & Boiler is proud to serve the Portland community! 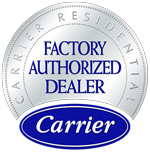 About Portland, CT - Happy to be your hometown Heating & Air Conditioning Contractor! Portland, Connecticut is a growing town found in Middlesex County. This quiet, Yankee community is home to about 8,800 residents, and due to a sharp curve of the Connecticut River, it is somewhat removed from the rest of the state. A great place to live, Portland is rooted in its local heritage, and while it may maintain much of its 19thcentury appeal, modern amenities and services are available. The community is served by the Portland Public School District, with older students attending Portland High School and Middle School. Portland is home to many attractions and places to visit. Boating is popular here, as evidenced with the town’s eight marinas and boat clubs. Golf courses are found at Quarry Ridge Golf Course, Portland Golf Course, and Portland Golf Course West. Families with young children might enjoy an afternoon at Kidcity Children’s Museum or Brownstone Exploration and Discovery Park. Other popular destinations in the community include Waterview Wellness Center and Arrigoni Winery. The Portland area is found within a humid continental climate, featuring four distinct seasons. Summers here are warm and humid, with average daily highs in the low- to mid-80s. July is the hottest month of the year, and high humidity will make it feel even more unpleasant. Most homeowners invest in central air conditioning to keep cool throughout the season. These systems not only ensure temperatures stay comfortable indoors, but they can also keep residents safe from heat exhaustion, heat stroke, and other dangerous conditions. Winter weather in Portland is drastically different, as conditions are snowy and cold. Low temperatures frequently drop into the teens or single digits overnight, while daytime highs stay in the 30s. The right furnace powered by electricity or natural gas is a necessity to stay safe, and local HVAC technicians can service these systems to make sure they run at optimal efficiency.